PR Newswire, DALLAS (April 4, 2016) - Sixty-five million Americans experience bladder leakage and they often choose to stop being active and social, or experience a loss of confidence because of it. 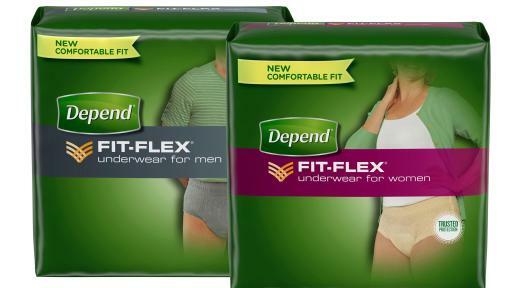 To help give these men and women the confidence to reconnect with the life and people they’ve been missing, the Depend brand (www.Depend.com) has introduced new, improved Depend FIT-FLEX Underwear, and partnered with real men and women who have reclaimed their lives with the brand’s help and want to share their stories nationally. To further inspire people to rediscover what life has to offer and get back to being as active and social as they want to be, the brand has also joined forces with motivational speaker and life coach Susie Moore. 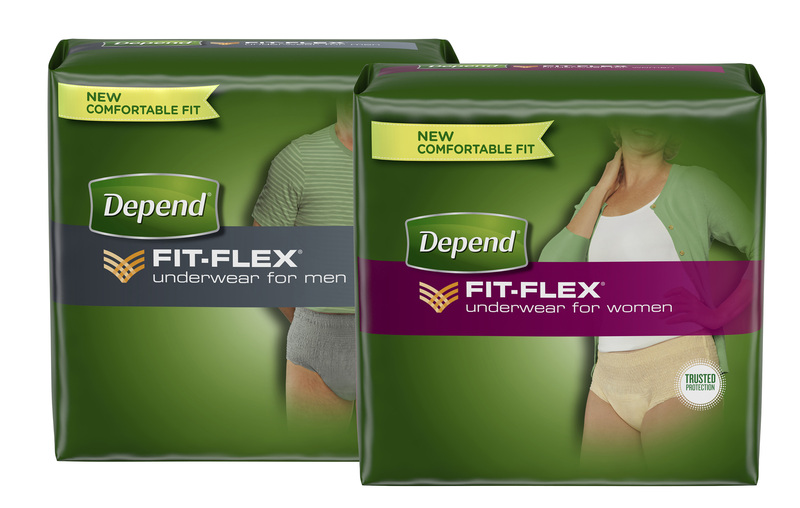 Depend FIT-FLEX Underwear is now more flexible to move with one’s body (vs. the leading bargain brand), while still offering the trusted protection of the Depend brand. Featuring Confidence Core Technology for fast absorption, Depend FIT-FLEX Underwear is available in a neutral gray for men and a peach color for women. This month, the Depend brand is also introducing new Depend Night Defense Underwear for Women – an overnight absorbency brief specifically designed for nighttime use that features more absorbent materialƗ, more coverageƗ for lightweight, heavy protection, and the same soft, comfortable fit people have come to expect from the Depend brand. For more than 30 years, Depend – the incontinence category leader – has provided men and women with innovative products that allow them to live active, fulfilled lives. In addition to television, print and online advertisements featuring the personal stories of real men and women – a first for the Depend brand – the improvement of Depend FIT-FLEX Underwear is supported by an integrated marketing approach. This includes an online influencer content series; a robust web presence; product sampling and retail support; plus multi-year, multi-million dollar charitable partnerships with United Way Worldwide and The Simon Foundation for Continence. Visit www.Depend.com to request a free sample of Depend FIT-FLEX Underwear or Depend Night Defense Underwear for Women, watch real men and women’s inspirational stories and learn how Depend can help even more people get back to doing what they love. Launched in 1984 by Kimberly-Clark Corporation, the Depend brand is the market leader in the adult incontinence category in North America. Over the years, the Depend brand has evolved with its consumers to provide the exceptional protection and lend them the confidence they need to lead normal, active lives. For more information or to request a product sample, visit www.Depend.com. Kimberly-Clark (NYSE: KMB) and its well-known global brands are an indispensable part of life for people in more than 175 countries. Every day, nearly a quarter of the world's population trust K-C's brands and the solutions they provide to enhance their health, hygiene and well-being. With brands such as Kleenex, Scott, Huggies, Pull-Ups, U by Kotex and Depend, Kimberly-Clark holds the No. 1 or No. 2 share position in 80 countries. To keep up with the latest K-C news and to learn more about the company's 144-year history of innovation, visit www.Kimberly-Clark.com or follow us on Facebook or Twitter.